Recently, my family experienced an attempted break-in. We were able to call the police to capture the assailant before he can enter our home to accomplish his goals. Because the police took him into custody, we did not know his true intentions. But we suspected burglary. This close encounter experience made us think of ways to protect ourselves, either through deterrents or through direct action. These ways include fake video cameras, real camera system, window vibration alarms, alarm system, bats, machetes, Tazers, and even guns. And we started ordering some of these home security devices. As these home security products arrive at our door, we are starting of a series of review articles as we try to build our home security fortress. Netgear Arlo happens to be one of the first security products that arrived at our door. So you can read our "Netgear Arlo Review" article. We will add more review articles to the Home Security wiki in the future. Feel free to chime in with your own home security tips, review home security products that works (or don't work) for you, and discuss potential security risks. Take advantage of this Home Security forum and the Home Security wiki. 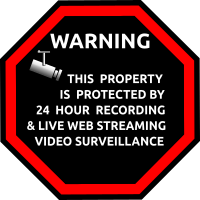 Title: Why is Video Surveillance Necessary? Excerpt: Several years ago, I visited my brother in a different city. During my visit, someone had drill a hole in his neighbor's SUV's fuel tank. Apparently, someone wanted the $100 tank of gasoline for free, at the cost of the SUV's owner paying $5000 for a new gas tank. A few year later, today, my family . . .